It’s been a big week in Washington with the State of the Union. But what about the State of Banking? One of the big issues in banking gets swept under the rug. That issue – Current Expected Credit Losses (CECL) – is a complete shift in how banks look at impaired loans. 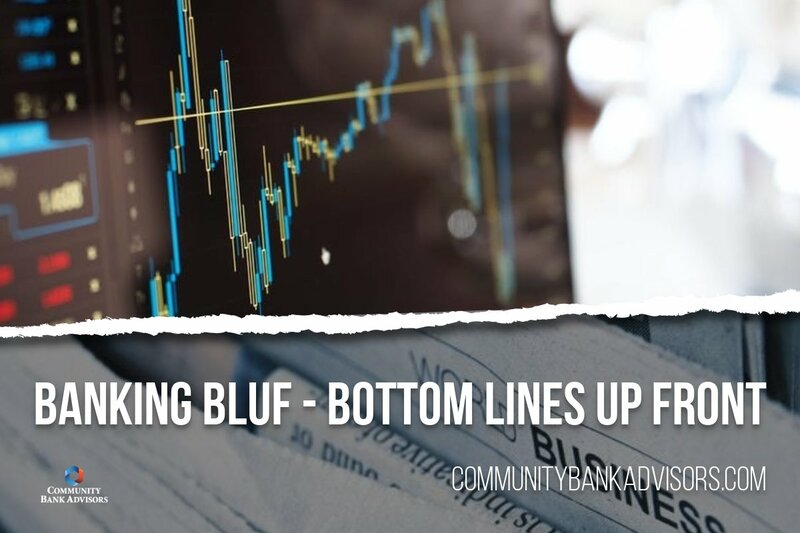 Under CECL, community banks are required to dig into loan information for historical data, have accurate current conditions, and a model for reliable forecasting to estimate expected losses over the loan period. Some banks are addressing this now by implementing expensive software. Others are sweeping it under the rug until the January 1, 2022 deadline. Over the course of February, we’ll be bringing you critical information that will help you make smart CECL decisions and know how and when to act. If you have any questions about CECL in the interim, please don’t hesitate to call us at (918) 791-0699 or email me directly at dmatthews@communitybankadvisors.com. On January 30th, the Federal Reserve opted to hold its key interest rate steady and said it will be “patient” as it weighs further rate hikes, signaling a new wait-and-see approach until it gets a better read on a slowing economy and volatile financial markets. The central bank also indicated on Wednesday a greater willingness to keep its roughly $4 trillion portfolio of government bonds elevated to prevent long-term rates from rising if the economy falters. Stocks surged higher Wednesday afternoon after the Fed statement, which followed strong earnings reports and forecasts from big US companies. Most economists still expect a solid growth of about 2.5% this year, but that would be down from an estimated post-recession high of 3% in 2018. The yield on the benchmark 10-year Treasury note, which moves inversely to price, was lower at around 2.658%, while the yield on the 30-year Treasury bond was also lower at 3.017%. The 2-year note yield fell 5 basis points to 2.492%, still above the yield on the 5-year note at 2.468%. The moves in trade come after the Federal Reserve adopted a more cautious tone. The Fed also removed reference to “further gradual increases” to the federal funds rate in its statement and held its benchmark rate steady. BLUFS + Are You Keeping a Visible Goal Scoreboard?